Meet Michael W. Golding, D.D.S. Dr. Michael W. Golding was born and raised in Pittsburgh, PA. He received his Bachelor of Science degree in Biology from Virginia Tech University. He went on to pursue his Doctor of Dental Surgery Degree from the University of Maryland Dental School in Baltimore, MD, where he not only received his degree, but also graduated at the top of his class. Upon receiving his degree, he completed a residency at University of Miami Medical School and Jackson Memorial Hospital in Miami, FL in Oral and Maxillofacial Surgery. During his residency, he was the Chief Resident and was granted the “Professor’s Cup” as the most outstanding resident of his class. Furthermore, he was recognized with the Most Outstanding Surgical Skills Award by the professors of the University of Miami. Multiple times throughout his residency, Dr. Golding was also involved in surgical cases showcased on Discovery Channel, The Today Show, and “The Doctors”. Dr. Golding performs all aspects of oral and maxillofacial surgery, with specialized interest and experience in All-on-4® teeth in a day, wisdom teeth removal, advanced bone grafting techniques, implant placement, orthognathic jaw surgery and facial cosmetic surgery. His talents and expertise in these areas allow him to provide his patients with optimal comfort, safety and convenience. Dr. Golding is also on staff and surgically manages the facial trauma and reconstruction within the Level 1 trauma centers for both the Banner Healthcare System and Chandler Regional Hospital. 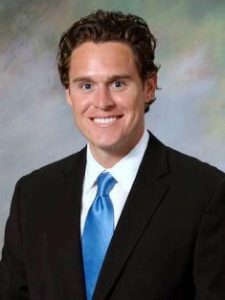 He is board certified with the American Board of Oral and Maxillofacial Surgery and a Fellow in the American Academy of Oral and Maxillofacial Surgery. Dr. Golding is also proud to be on the Phoenix Suns Dental Team as the Oral and Maxillofacial Surgeon of the Phoenix Suns. Additionally, he is a member of philanthropic organizations, including The Phoenix Thunderbirds and The Executive Council 70, both of which fundraise to improve the lives of the underprivileged in Arizona. Dr. Golding is happily married to his wife Laura, who is an Arizona native and graduate of Arizona State University. They’ve welcomed two young children, Olivia and William. During his spare time, Dr. Golding enjoys being with his family, traveling, running, and playing golf. This review is for Dr. Michael Golding at Oral & Facial Surgeons of Arizona. I met Dr Golding after seeing at least 5 Oral Surgeons in California which included top surgeons at UCSF and the Mayo Hospital for symptoms I was having after a botched dental appointment. I had become very ill for about 15 months with symptoms of facial numbness, severe fatigue, blood pressure issues and feeling like there was a huge lump sewn into my jaw. A friend that had seen how ill I had become started doing research and found an article regarding Dr. Golding for the Discovery channel. I met with Dr. Golding and from beginning I liked how positive and confident he was and how he carefully listened to me as I explained my symptoms. He did a CT scan on my first visit and was very confident he knew right away what the issue might be. We scheduled surgery and within 8 weeks of that surgery my symptoms were slowly getting better and he was able to schedule a second surgery to put in the implant posts, I just finished with my crowns this week and everything is perfect. I will be forever thankful to Dr. Golding, he was the only doctor that truly believed I was ill and did not tell me there wasn’t anything wrong. He takes his job very seriously, he also has an excellent bed side manner. I highly recommend him for any type of oral surgery and especially complicated situations where other Doctors might have given up. I have learned that one bad dental appointment could forever change your health. I sincerely thank Dr. Michael Golding and his team.